Home » Blog » Why Do Midwives Have Better Birth Outcomes? Why Do Midwives Have Better Birth Outcomes? This Evidence-based care video series is a great video to share with your families and friends to help them understand the impact of their choices on the outcomes of their pregnancies and births. Rebecca Dekker explains the different types of obstetric care providers and different choices in birth settings. This is very compelling information, especially the piece about Midwife-led care. I am continually surprised how few people know about Midwives. I have been a Nurse-Midwife for the past 21 years and I continue to meet people who have never heard of Midwives. If they have “heard” of midwives, they believe that we only deliver babies at home. Most of the Midwife-attended births in the U.S. are hospital births. 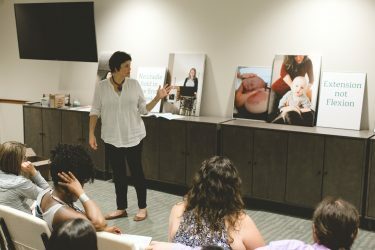 If they do know about midwives, they mistakingly believe that you have to desire a medication-free birth – the truth is that Midwives’ clients have more pain management options than others! Not only can a midwife client have an epidural, but she can also have a backrub, ice pack, bathtub, shower, TENS unit or nitrous oxide. Most Midwives were nurses before they specialized in Midwifery and this makes them hands-on, compassionate, bedside practitioners who want an intimate relationship with their clients. This is why we went into nursing in the first place. And in my case, Midwifery was the place where I could make the most difference for the patients in my care. Midwifery is the profession that specializes in normal pregnancy and birth. This does not mean that we only care for the most perfectly healthy women and then have the BEST outcomes of any obstetric provider but it does mean that we work hard with our clients from many different socioeconomic, education and health backgrounds to PRODUCE a NORMAL PREGNANCY and BIRTH. Our amazing statistics show that we are the BEST CHOICE for MOST women. Fewer hospital admissions during the antepartum period. A lower incidence of hypertension during pregnancy and labor. Fewer episodes of abnormal heart rate in labor. Less need for pain medication in labor, including epidural analgesia. A lower incidence of shoulder dystocia, in comparison to similar women cared for by physicians. A lower rate of instrumental deliveries (use of forceps or vacuum extractors). A lower incidence of retained placenta and fewer or equivalent postpartum hemorrhages. Fewer perineal injuries and fewer 3rd and 4th degree lacerations. 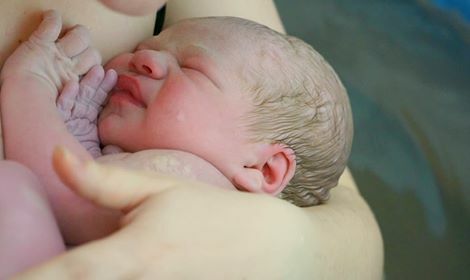 Fewer cesareans and more vaginal births after cesarean section (VBACs). Less likely to be born preterm or with a low birth weight. Less likely to suffer from fetal distress (abnormal fetal heart tones) and birth trauma during labor and birth. Less likely to require newborn resuscitation or special care in the neonatal intensive care unit (NICU). More likely to remain with their mothers throughout the hospital stay and be exclusively breastfed at two and four months. Despite objectively being the best choice for most women and families in the United States, we continue to be underutilized. As a profession we ARE growing but this growth has remained slow and the number of births we attend in the country remains static at about 8-10 percent of the vaginal births in the country. Women knew that they needed calm assurance and quick intervention from their birth helper so they chose for themselves a woman who was able to guide and attend them and only intervene when absolutely necessary. The Midwife was born from the innate understanding all women have about what they really need during their birth. So, even though it is an old-fashioned, stigmatized professional name in this country, I prefer to be a Midwife than a Nurse-Practitioner; I have joined hands with all who came before me using wisdom they have passed on and extend my hand to all who are coming after me, hoping to see our profession become the norm for all women in the United States.